Congratulations, Kathy! Send me your address and I'll get your winnings out to you! It's here! 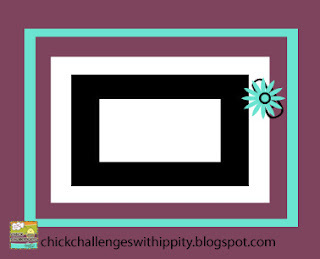 the cropchocolate.com design team banner blog hop! And just so my FWF peeps know they are in the right place, I'm including some Unity here, too. 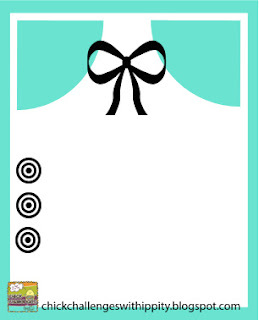 I am so excited to be designing for one of my favorite companies, cropchocolate.com. I have been happily buying scrappy supplies from them for a few years now, and enjoying the great prices they offer, so what could be better than designing for them? Just about nothing! I am so honored to be here. 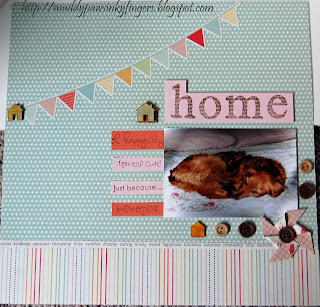 If you arrived here from Brenna's blog, you are in the right place. I know you were wow'ed by her talents, so I'll see what I can do. 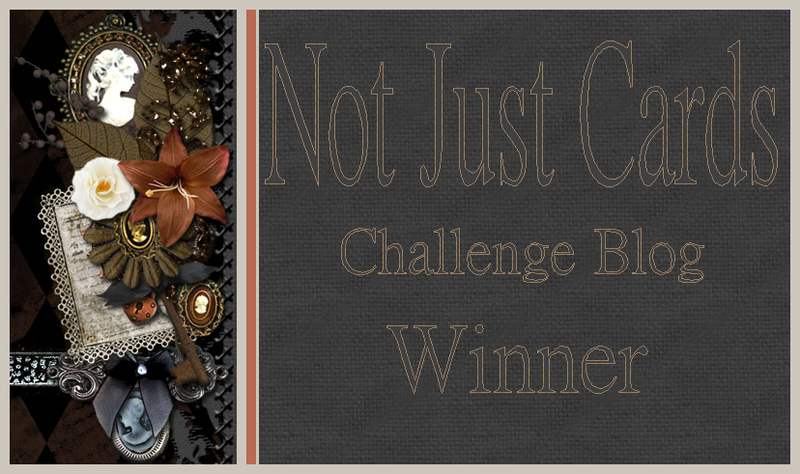 I have 3 projects to share with you, but first, I have some blog candy to give away. 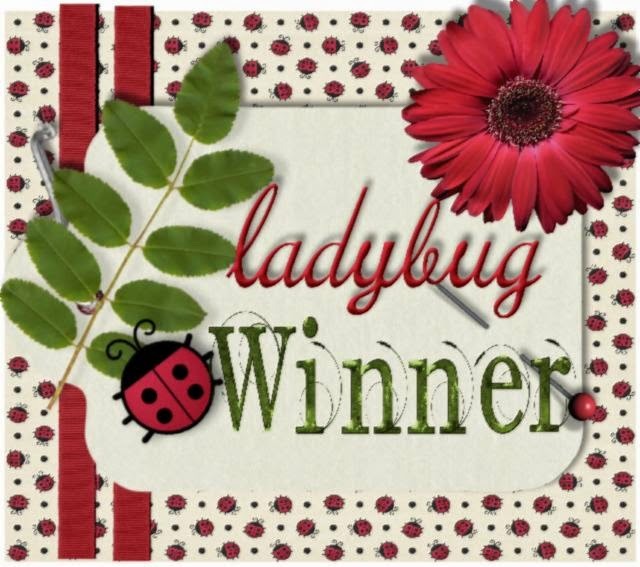 To win, please follow my blog, leave a comment, including how to contact you, and you will be eligible to win. I will choose a winner Monday, July 30th, using random.org. And, the sentiment says it perfectly, I'll put my best foot forward the 6 months I am representing cropchocolate.com, bringing you the best projects and ideas I am capable of. I used Echo Park card stock for the base, EP Victoria Gardens for the banner. The banner is cut using the Cricut Pretty Pennants cartridge. The shoes are from the Cricut Forever Young cartridge, using Bazzill coal cardstock, American Crafts glitter paper -- mulberry, and EP Victorian Gardens, plus some stickles on the flowers. 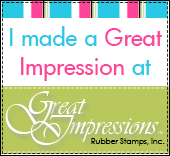 The Sentiment is stamped using a Close To My Heart Halloween stamp set -- Wicked. My second project, is a hanging banner. It hangs on a small wall in our bedroom, on the way to the master bathroom. I display many seasonal projects in this small space. 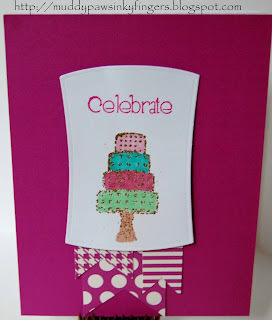 We've been showing Ombre techniques this month on the cropchocolate.com blog, and this is another example of ombre. I used cereal boxes to cut the cardboard shapes first using various Spellbinders and a Grand Calibur. 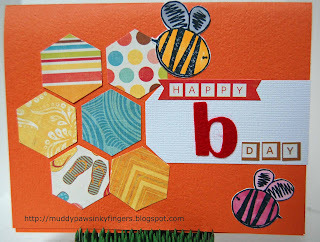 Then, using the same shapes, I cut them again with the delightful papers found in Echo Park's Hello Summer 6x6 pad. I purchase many 6x6 pads from cropchocolate.com. I love the smaller prints on these pads, especially for cards and projects like this one. I cut the letters out using the Cricut American Alphabet cartridge, both the shadow and regular layers. I used mostly Bazzill card stock, plus 2 Echo Park card stocks, shading them from darkest blue to lightest blue to get the Ombre effect. Then, after assembling all my cuts, I had the fun of embellishing the wall hanging. I used mostly American Crafts and Pebbles felt shapes, some Dilly Dally brads and embellishments, and a few buttons, all purchased from cropchocolate.com. The ricrac tying the squares together and ricrac used to hang it are from Close To My Heart. 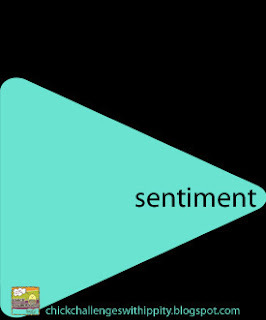 My third project was created for my Unity peeps, with Friends With Flair in mind. Every Friday, I submit a project with many talented gals and participate in the Unity hop. 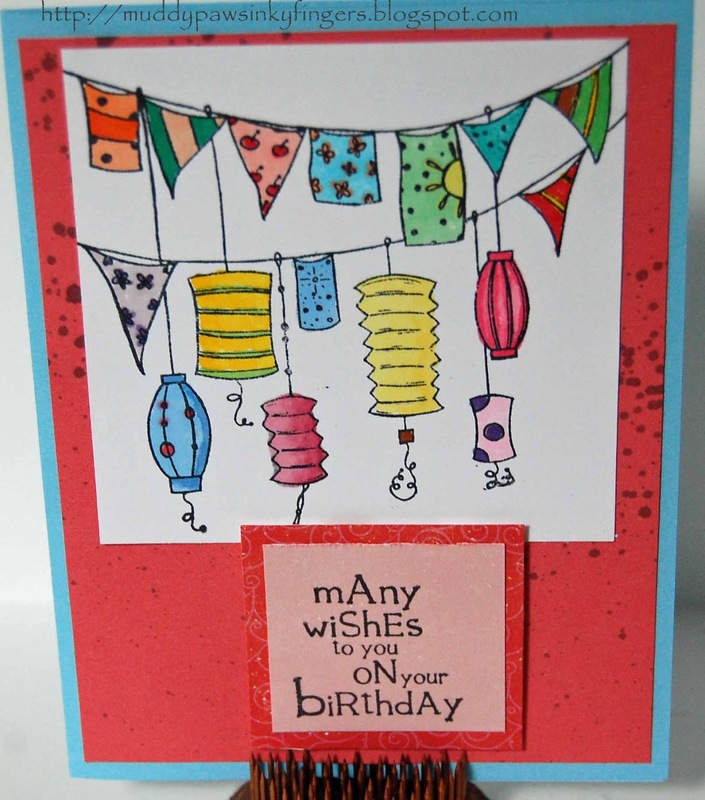 Here's a card with a Unity stamp I used as a banner. Doesn't this stamp just make you think of summer? I had to include this sentiment. It seemed perfect for the card. I used Copics to color the banner images. 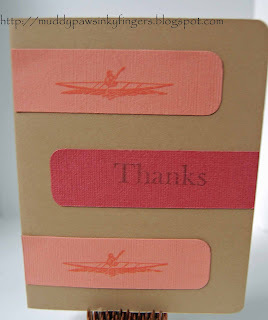 A Spellbinder romantic rectangle was used to cut the white cardstock. All other cardstock is Echo Park (purchased from CC, of course!) The baker's twine -- can you guess where I bought that? Ah, such a wise audience I have! I made this card this afternoon to reward myself for cleaning my scraproom. It doesn't look exactly "clean and organized", but things were put away much better than they were before I started. I even found a few things I've been looking for! 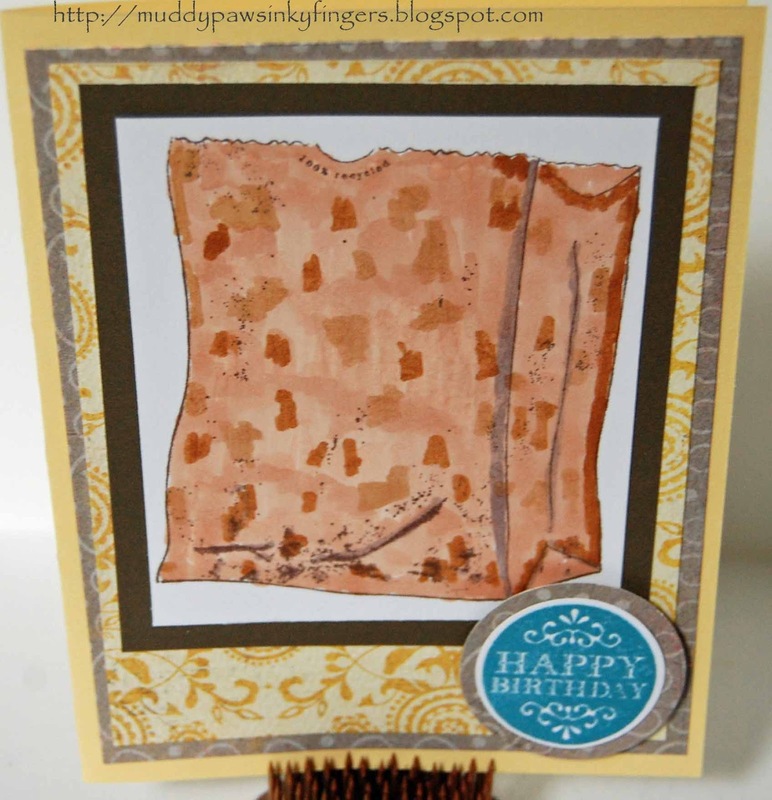 I'm using this card for 2 Ippiy challenges -- a wedding challenge, and a challenge using a sketch. I'll show you the card first, then the sketch I used. All papers are from Close To My Heart. Stamps are Unity "A Friend Loveth" and "On the Beach". I have to tell you, this was a tough one for me. Triangles are not something I generally use in either scrapbooking or cardmaking, so it lived up to it's name -- a challenge! Here's a peek of the blog candy I'm giving away at this weekend's blog hop on cropchocolate.com. Hop with us! To win this awesome stash, please follow my blog, hop this weekend, leave a comment on my blog, and you will be eligible to win. I will pick the winner using random.org on Monday, July 30th. 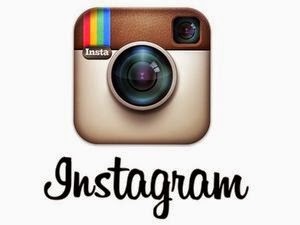 Then, come back next weekend for another chance to win more blog candy. 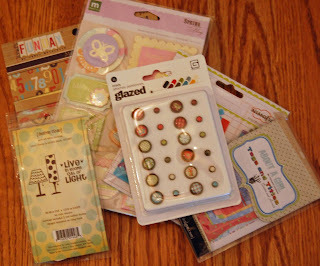 I have a very similar package to give away for another hop I'm doing with scrapbooksteals.com August 7 and 8. Join me both weekends to win! 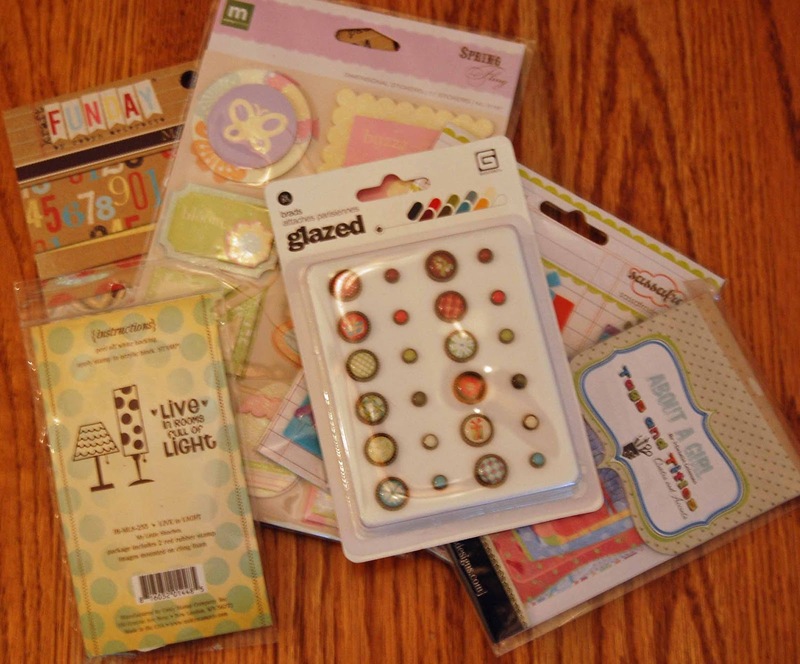 Yes, those are Tim Holtz embossing folders and Echo Park 6x6 papers. 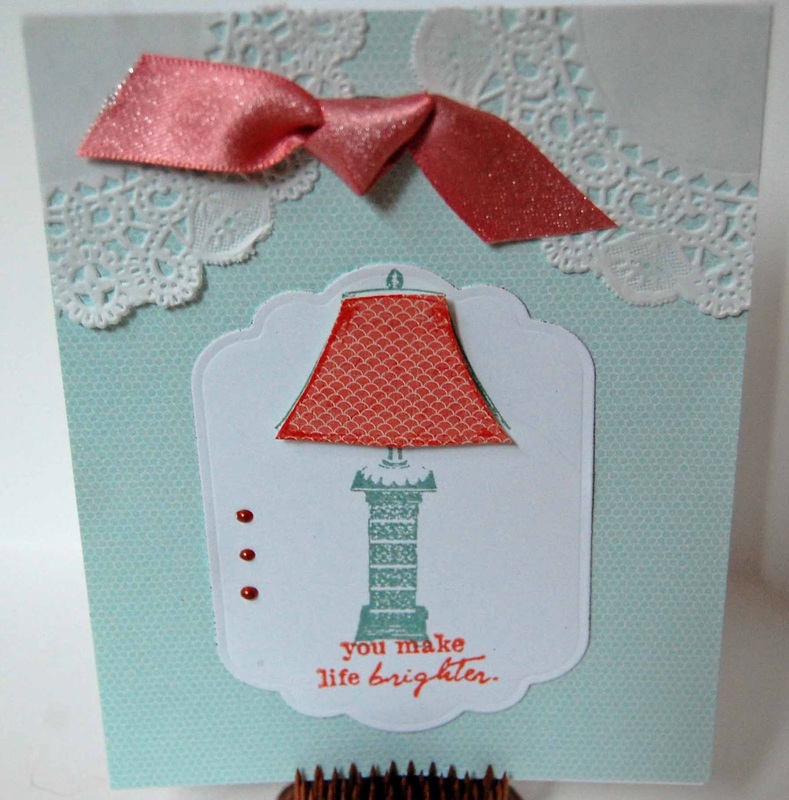 This is good stuff I'm giving away because I'm so excited about my first design team blog hop! Sneak peek for the design team blog hop! 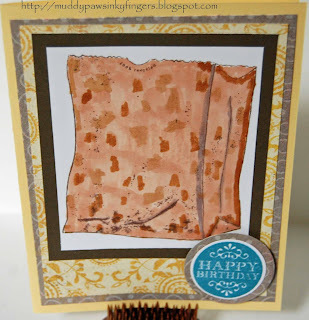 I can't tell you how excited I am about this weekend's blog hop on Cropchocolate.com. We are introducing the new design team, giving you all a chance to get to know us and our styles a little better. I've been working on some projects for a while now, and have 3 to share with you, but I'm only going to give you a little bitty peek of one of them! 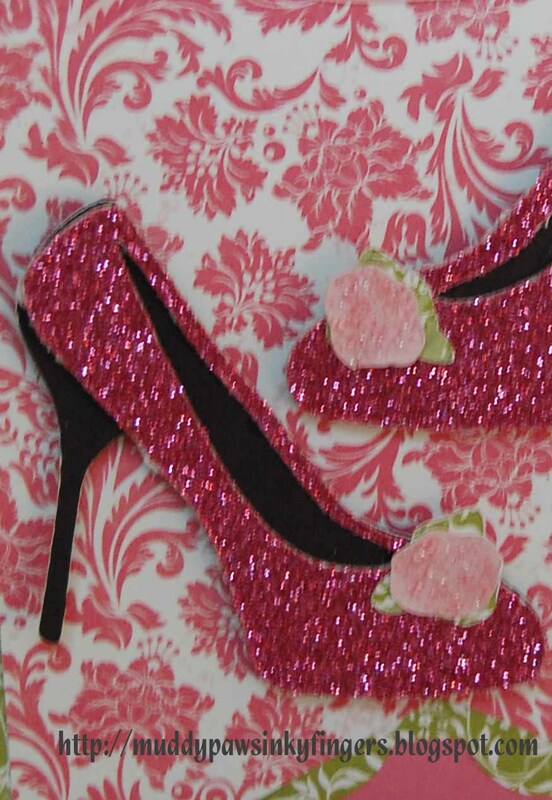 Isn't that a beautiful shoe? Don't you just wonder what it belongs in? Come back Friday, Saturday, and Sunday to find out. Plus, I have blog candy to give away! Did I tell you I'm excited? Friends with Flair and Crop Chocolate -- a great combination! 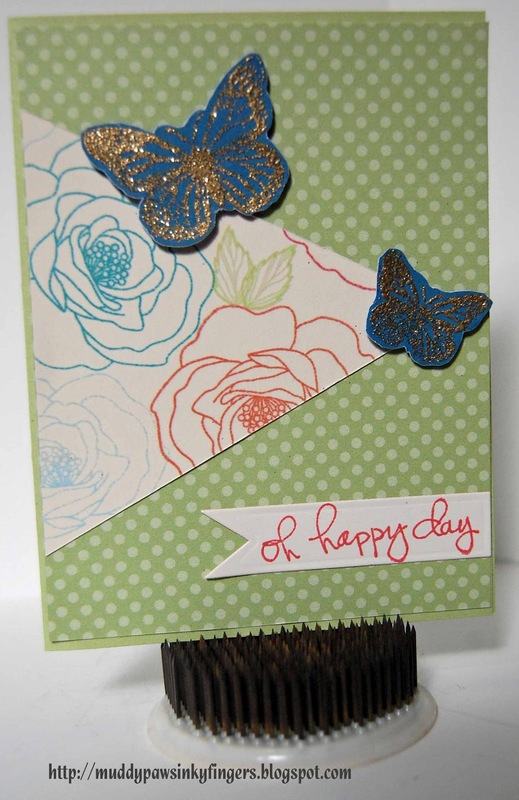 I used a Carta Bella 6x6 paper pad, a corner rounder, a Spellbinders die, a Samantha Walker Twisted Metal stamp set by Unity for the sentiment, and butterflies from Close To My Heart. 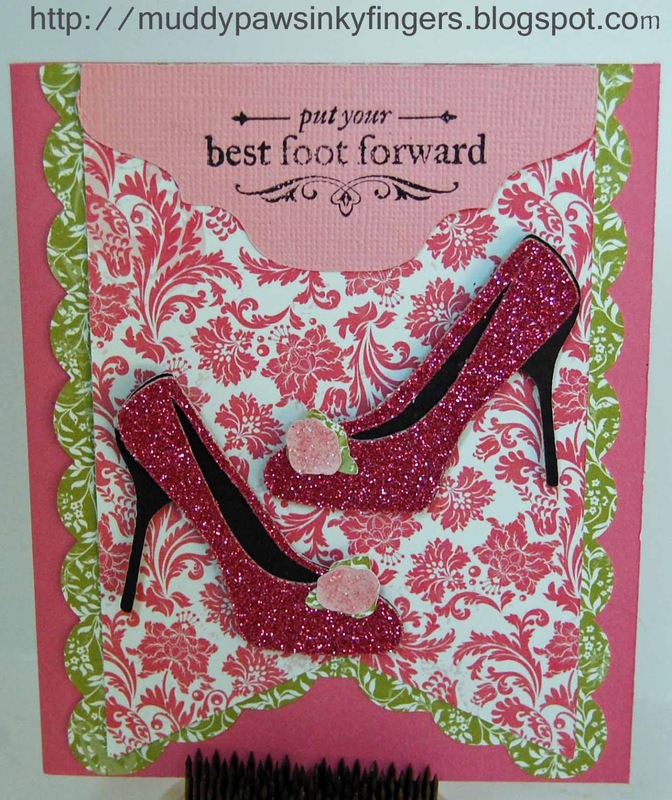 This second card was given to a friend and co-worker for her birthday last Monday. Lots of Unity on this one! 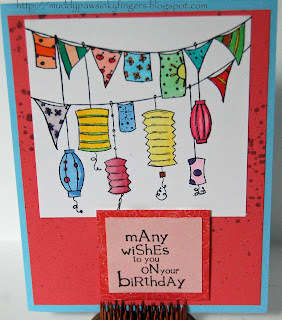 I used the July stamp of the month kit, Copic markers, some Mister Huey's ink to add dimension to the layer behind the banner, and a small piece of patterned paper from my stash that I believe is Echo Park. 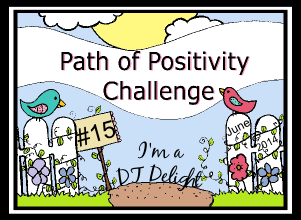 I hope you enjoy my offerings for this week! Hey everyone, it's hot, hot, hot here in Northwest Wisconsin. We go through some summers with barely a 90 degree day, but this summer has been a scorcher. It was nearly 100 degrees again today, with plenty of humidity to go with it. My BFF has a birthday on Wednesday. I hope she doesn't check my blog before she gets her card! I had a giggle fest making this for her. She's 9 years younger than me, so I think I'm safe sending it to her. What do you think? The card is based on this sketch. 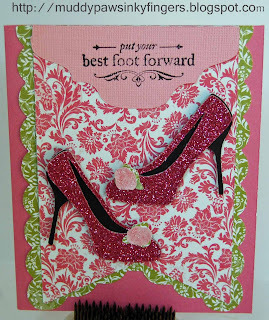 These first 2 cards use Bazzill cardstock, EP Springtime paper, and ribbon from Really Reasonable Ribbon. 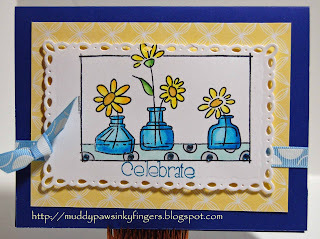 The flower stamp is by Stampendous. I chose it because it seemed like a good stamp to try some shading on. 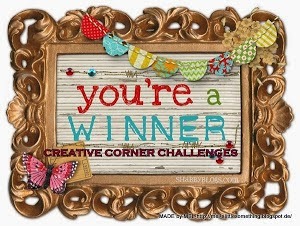 The "celebrate" sentiment is from a Unity grab bag I won here on FWF!! The birds on a branch stamp is the 6/10 kit of the month. 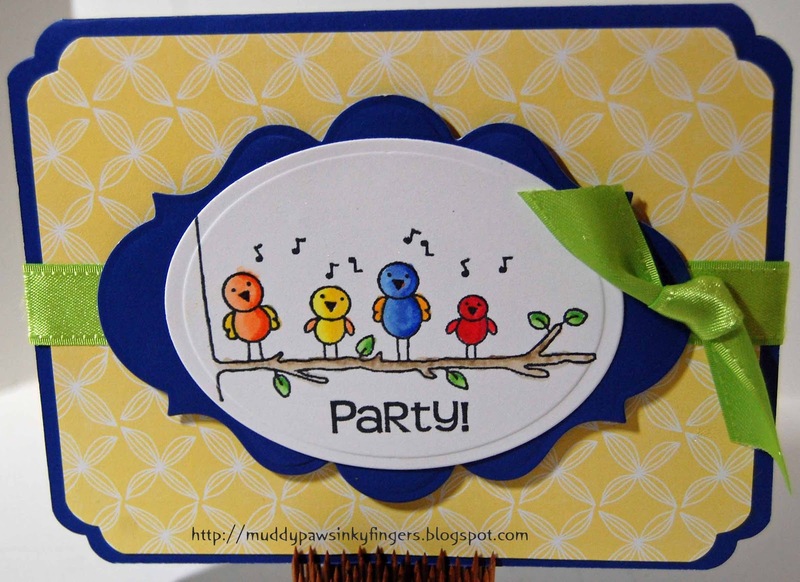 "Party" is a CTMH sentiment. Spellbinders were used on both cards. One question I have for you Copic experts is how to get some real light shading behind my image? Are there particular colors that work well for this? With this card, I was experimenting to see what happens if you use Copic markers on an embossed image. The 4-tiered cake is embossed with gold embossing powder. 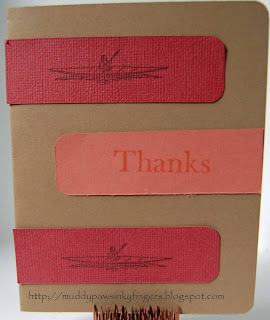 It seemed to work OK to color over the embossing. I didn't bleed like I thought it might. The paper is MME Lush 2. I didn't bling it up because it was for my father's 82nd birthday, and he's a simple kind of guy. There's no Copics on these last 2 cards. 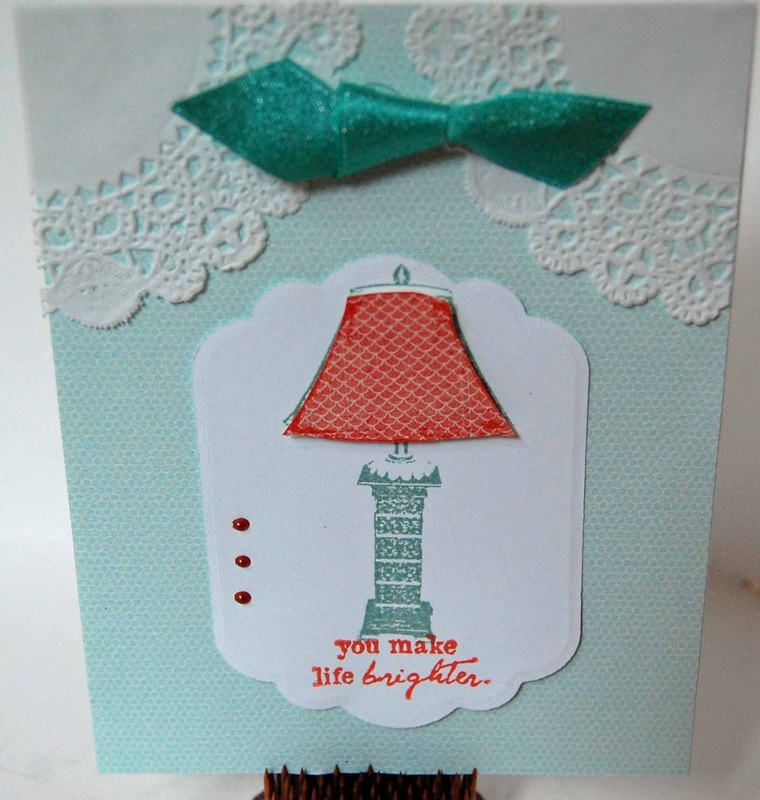 I paper pieced the lamp shade. 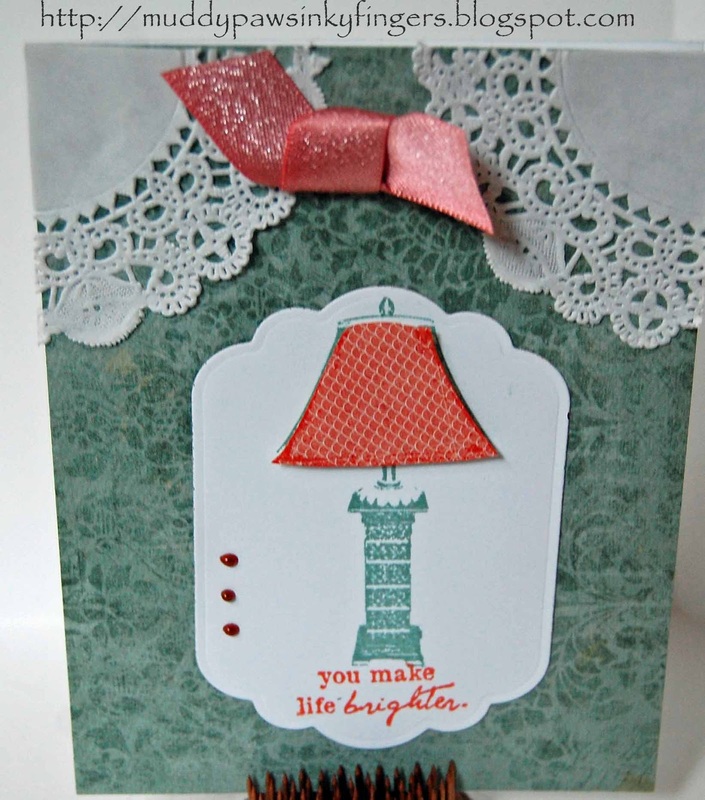 I used the doily, hoping it looked like curtains in a home. 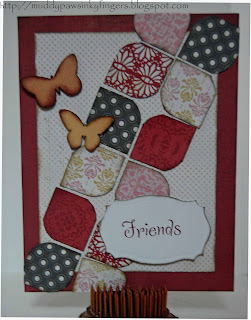 These 2 cards are similar to one I entered in an Ippity Challenge this week. I'm using them for thank you cards for the many great birthday gifts I received. Paper is Authentique Blissful 6x6 pad. Stamp is a SOTW. A copper Viva Decor pearl pen was also used, and Really Reasonable ribbon. Thanks to all of you for the well wishes on my birthday last Friday. Thanks for any new advice you have for my Copic learning. You've been very helpful so far! I've had some fantastic advice from FWF. I promised to draw for blog candy winners on July 9th, and I have! I used random.org to pick 2 winners. I actually went from 42 followers to 76 followers over the weekend. I am so excited!!! That means 2 of you will receive goody packages from me. Winning numbers chosen were #10 -- Anne (Mom Cleo on CC) and 46 -- Ms Daiquiri. Congratulations. Please contact me with your mailing addresses and I'll get your prizes out to you ASAP. When I first saw this sketch, I didn't think I would like working with it, but once I figured out a design, it was very easy to make it work for multiple cards. Since I just had a very special birthday, I have numerous thank you cards to write. I made 4 of them, all very similar to the one shown here. Design paper is some paper I won at my LSS. It is Bazzill Basics Wanderer 6x6. 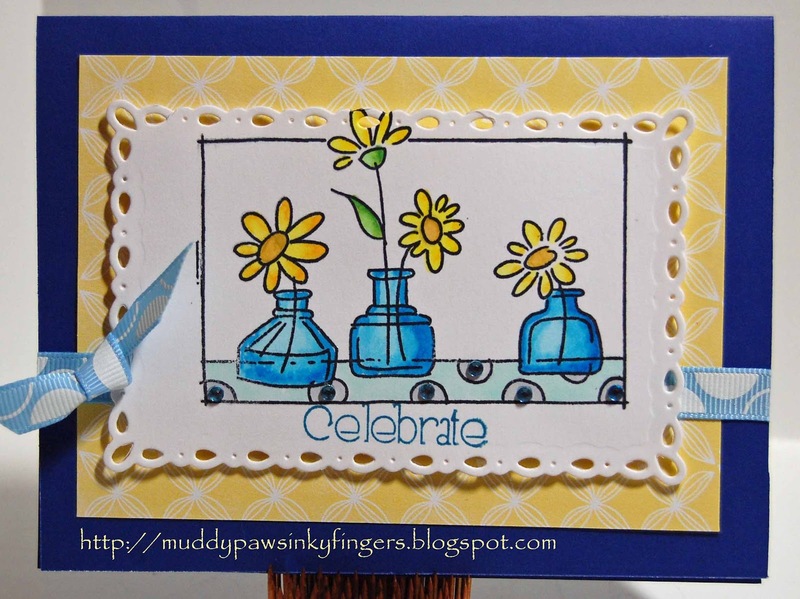 Stamp set used is a Unity SOTW. Ribbon is from Really Reasonable Ribbon. Memento Ink and CTMH ink were both used. A Viva Decor Pearl Pen put on the finishing touches. I used this sketch as my starting point. As you can see, I followed the sketch very closely. I also followed a UnityTV episode to learn how to paint rocks. 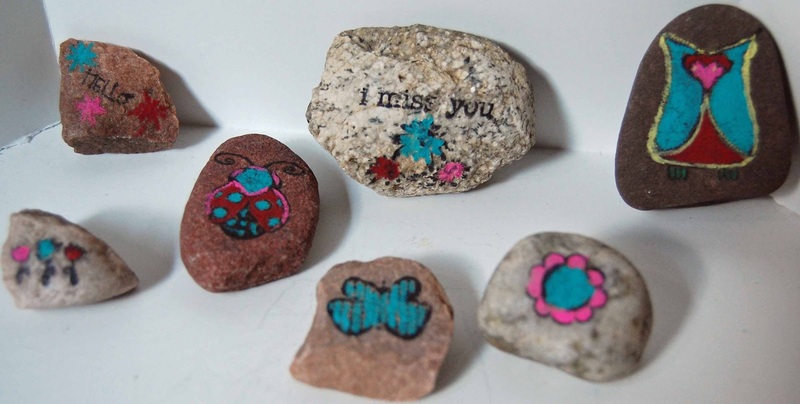 Here's what I did with some rocks from the garden. 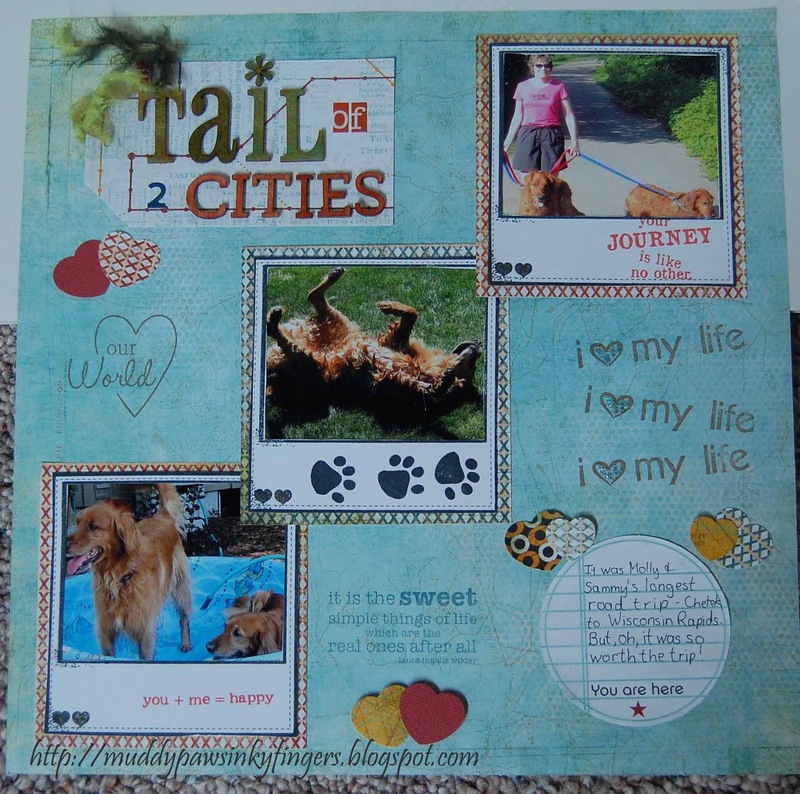 I used a Unity Kit of the month (3/10), and several other sets with small sentiments and creatures. Sorry, I can't remember the names of the sets, but will find them if anyone is interested (blogging while not at home where the stamp sets are). July 6 is my birthday, but I want you to get the booty! I gathered this together very quickly before I left for work this morning. The collection may grow before I mail it out. After all, I want the winner to be surprised! 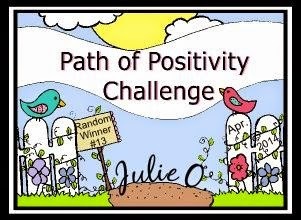 I will use random.org on Monday, July 9 to pick the winner(s). 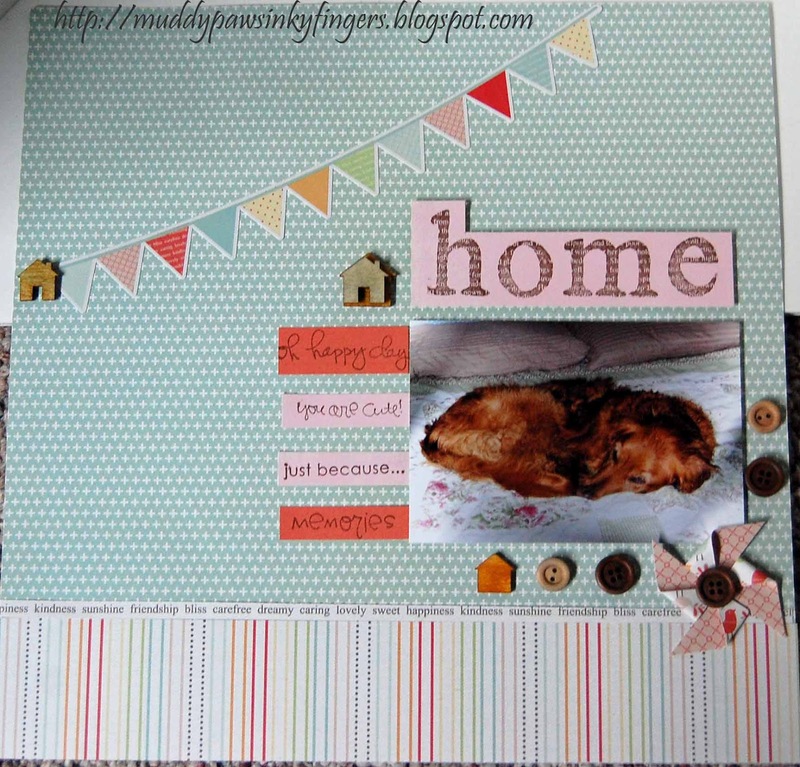 I used Basic Grey Wander papers throught the layout, including cardstock and journaling spot. The wood alphas are by Pink Paislee and Studio Calico. Unity stamp sets used were: May 2012 kit of the month, July 2012 kit of the month, June 2012 SMAK,& 3/10 KOTM, You + Me = Happy (UK-399A), and Forever Friends (Phyllis Harris PH-889A. 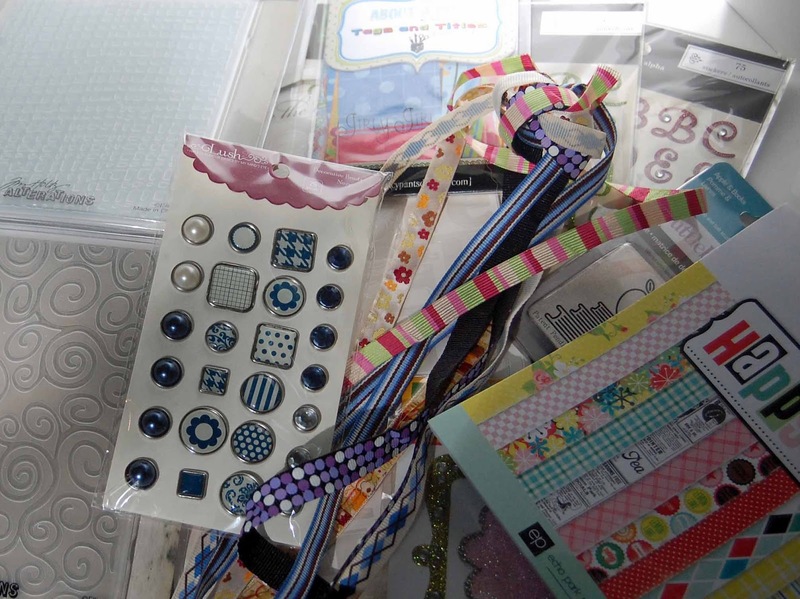 I also used a Creative Memories heart punch, a Tim and Beck alphabet, and some ribbon from my stash. Tim Holtz distress inks were used throughout. The second layout is my favorite picture from our adventure across the state. My 11 year old dog, Molly, loved being at Sheri's because she can do whatever she wants -- including sleeping on the bed. Here's a picture I snapped when I found her upstairs, snoozing on the bed after a swim in the local lake. And a close up of my beautiful girl. 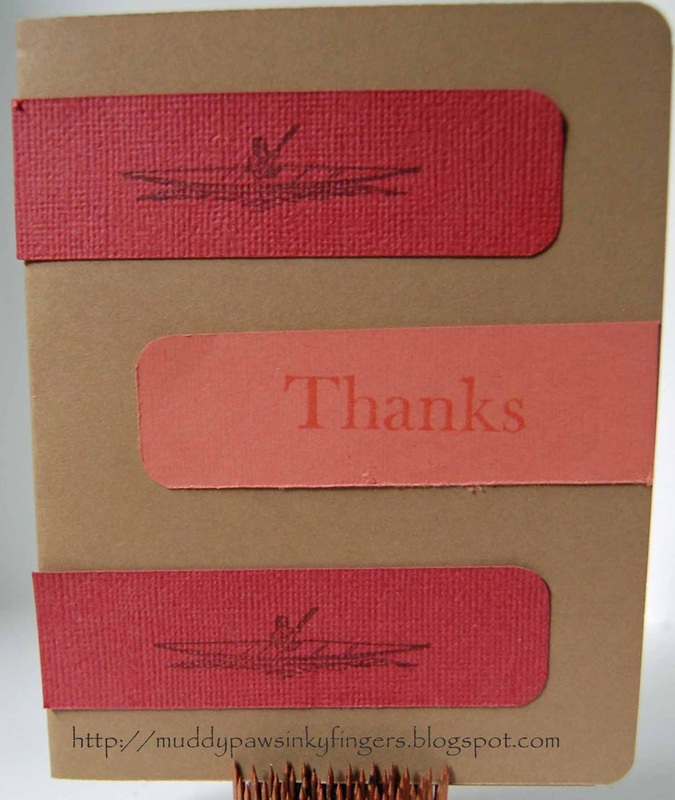 I know this post is getting really long, but I have 3 more cards to share with you, all of them thank you cards. One of my volunteers at work hand quilted a table runner for me for my birthday, so one card is for her. The other 2 are for some great people that helped me repair some damage to my kayak. The two kayak cards don't have a lot of Unity, but the 'Thanks' sentiment is from a Unity grab bag. Remember, follow my blog, if you don't already, leave me some love and a way to contact you, and I'll draw for some winners on Monday, July 9. Woohoo! I love that it's Friday! Especially when it falls on my BIRTHDAY! I've been gone most of the last week, but when home, I've been trying to crank out a few cards inbetween unpacking, repacking, doing laundry, paying bills, cleaning the house, etc. Here's a couple I made this evening while watering our very dry yard and flowers. 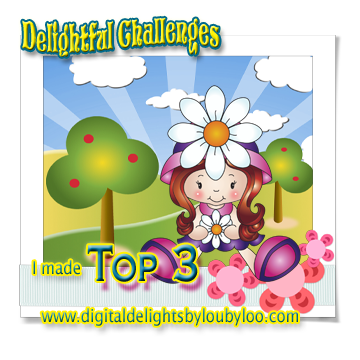 I am using them for 2 challenges on cropchocolate.com. 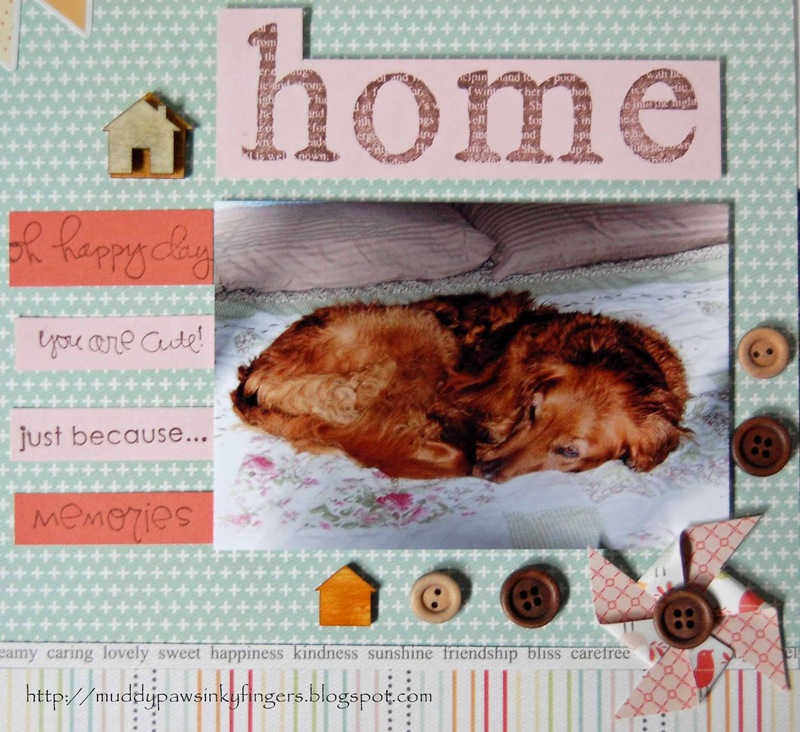 The challenges are: Haf2scrap – (guest of centralnyscrapper) http://centralnyscrapper.blogspot.com/2012/06/for-those-left-behind-blog-hop.htmlA PROJECT USING 3 DIFFERENT ALPHABETS and by belle - http://stuffbybelle.blogspot.comCREATE SOMETHING THAT INCORPORATES A HANDMADE NON-PAPER ITEM. 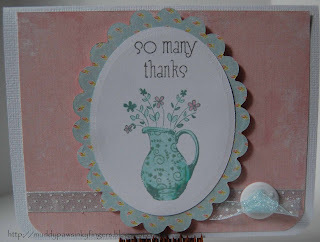 When making cards, I often make 2. It's so much quicker to make 2. The first one is slow because I'm designing, but the second one goes together in a flash. That's what I did here. 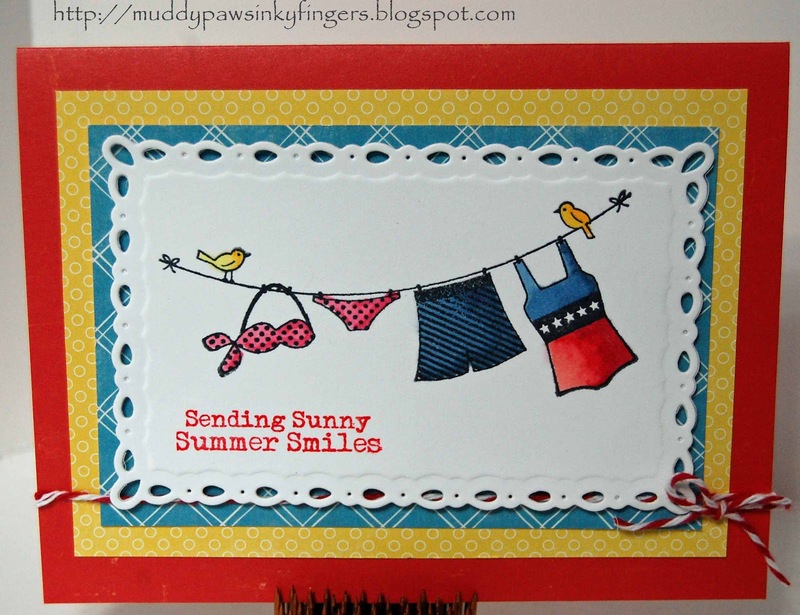 Both cards use the same DP -- Echo Park Paradise Beach 6x6 paper pad. One has Kraft cardstock (CTMH), the other has Bazzill. Alphabet stickers (3 different ones used on the first card to meet the challenge, are all from the EP Paradise Beach 12x12 kit.) 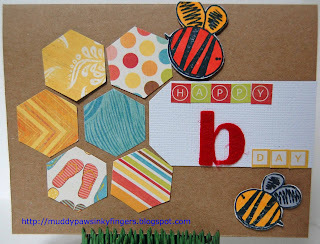 The homemade, non-paper element is the felt 'b'. I cut it out on the Cricut, using a deep cut blade and the multi-cut feature. 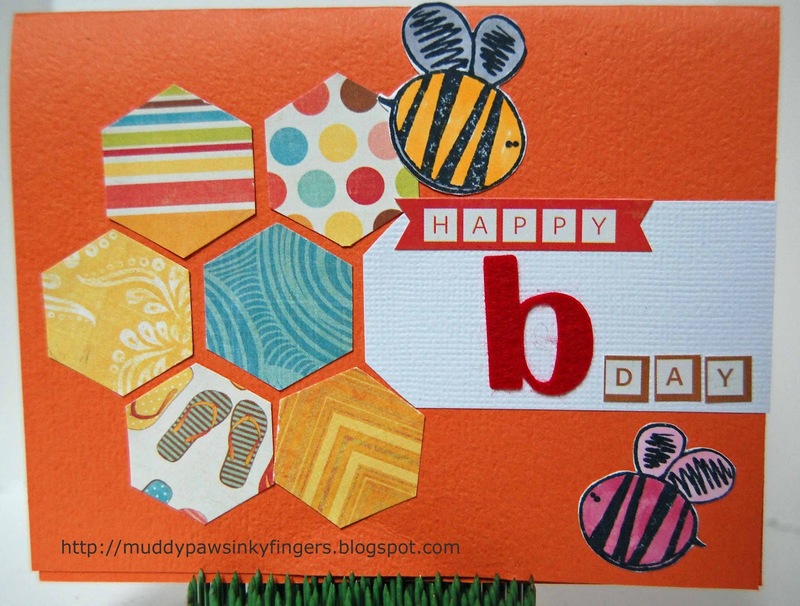 The bee stamps are Ippity (Unity), colored with Copic markers. Hope you like them!